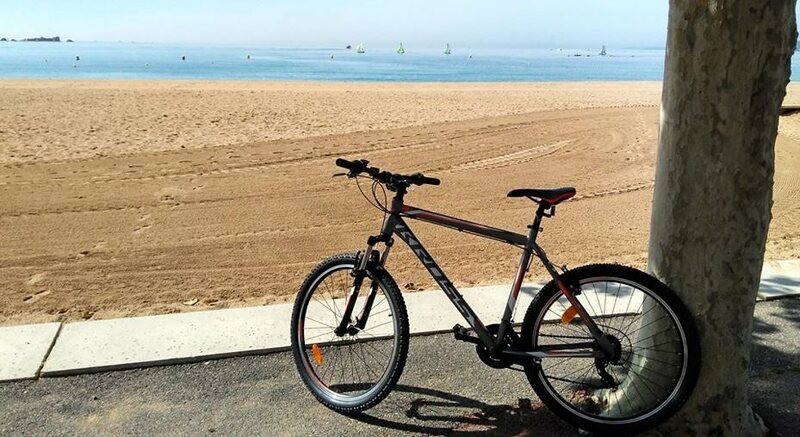 You can hire bikes on the Cote d'Azur with Bike Hire Direct! BikeHire Direct Var make it easy for you to rent bikes on the Cote d'Azur - there is no need to have the extra hassle of transporting your own bikes... let us know where you are staying and we will deliver bikes directly to your holiday accommodation ready for you to enjoy on your holiday! For more information visit the 'Contact Us' page to find out about hiring bikes with BikeHire Direct Var! The Cote d’Azur, translated as the Coast of Blue, named because of its stunning deep azure-blue seas runs from the border with Italy all along the southern coast of France to Toulon. It is an area of stunning beaches, diverse countryside and colourful villages and towns along the coast. Although popular in the July / August holiday season it is a great place to enjoy off-season as well and there is a huge variety of things to see and do. Cycling is a great way to explore the region and many of the coast roads have cycle paths that run alongside them. Hyeres, the Giens Peninsula and the Golden Isles, Porquerolles, Port Cros and Le Levant are an area of outstanding beauty. A lovely day out is a cycle ride along the Giens Peninsula to the village of Giens which is the most southern tip of Provence. Or you could hop on a boat to the Isle of Porquerolles and explore the island on its network of cycle trails taking you to white sandy beaches and stunning scenery. The area prides itself on its 94.5 km of marked cycle trails and paths so there is something for everyone in this beautiful area. Frejus and Saint Raphael sit alongside each other on the coast and are best explored by bike. For families there is the Base Nature in Frejus which has a 2km cycling trail and lots of other sport activities. Or you can cycle along the coast to the beautiful beaches of Saint Aygulf from Frejus or Agay from Saint Raphael along well-marked safe cycle paths or venture into the Esterel mountains which run right to the coast where there are mountain-bike trails for the more adventurous.